Stiplastics have been continously working to develop different connected devices that will help patients to take care of their health. 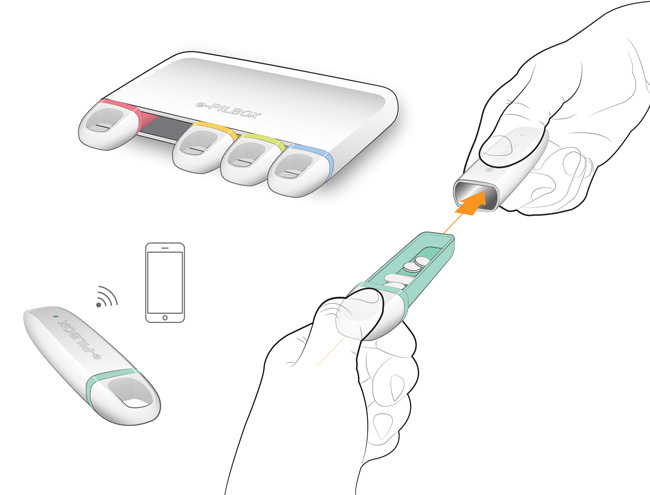 As the e-health market is accelerating, Stiplastics are working on the development of the connected pillbox . This initiative was initiated in 2010 by launching the Disdeo project, an intelligent device for monitoring and compliance support, in collaboration with Alpwise, Altran Technologies, CEA Grenoble, Inlab and Sanofi. It was the starting point for new reflections. Their knowledge, experience and willingness to act actively in favor of compliance encourage Stiplastics to take up this new medical technology challenge. Several projects are under study. One of them is a connected solution aimed at securing and improving patients' adherence to their oral oncology treatments and shall be tested in three cancer centers in 2018.